Before I completely skip over Thanksgiving as a holiday for decorating, I thought I'd share a quick craft project I made for our entry. An important reminder to be thankful. 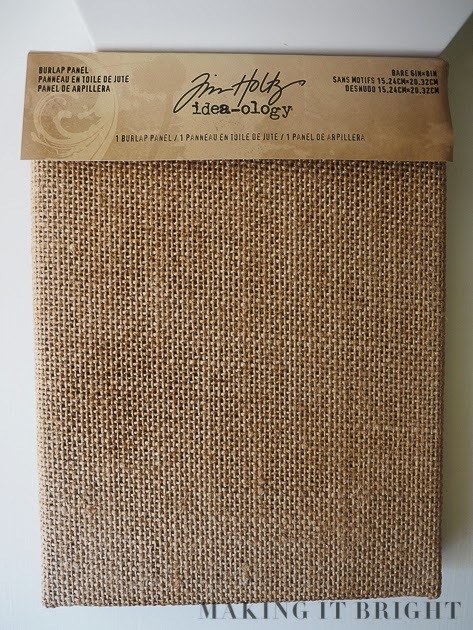 I had this 6 in x 8 in burlap panel in my craft stash hoard that I'd picked up on clearance from Hobby Lobby a few months ago. And you know I love a good freezer paper stencil. I used Century Gothic Bold font in 130 pt. When you're printing for a freezer paper stencil, change the text outline to black (from none) and the text fill to none (from black) to save yourself some printer ink black gold. 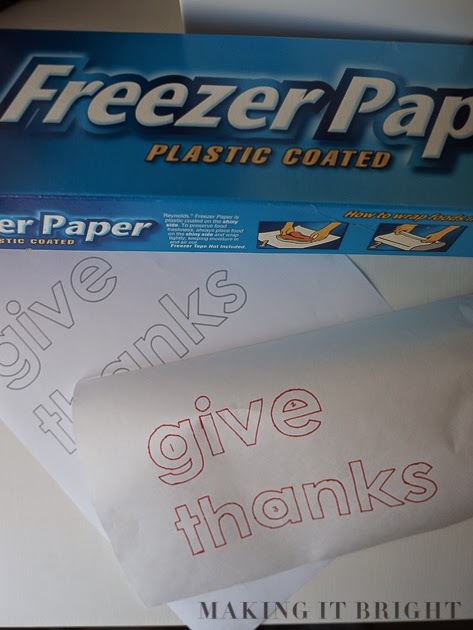 Trace it onto the freezer paper and carefully cut out the letters, saving the insides on the "g", "e", and "a". Set your iron to low and carefully press the freezer paper stencil onto the panel. I had no problem with adhesion except for the little inside of the "e". I just had to free hand that part. I expected bumpy letters because of the burlap but it actually turned out surprisingly crisp. I used regular black craft paint. And the little flower embellishment was part of a two pack I found on clearance at Meijer for $0.95. I plan on using the other one to make a headband or hair tie for my little lady. A simple Thanksgiving craft that you could keep on display year round! I've seen so many cute Thanksgiving / Give Thanks DIY projects lately. What are you making?